Wrangler jeans are undeniably one of the three original and famous cornerstone American denim brands today. It is popularly known worldwide for its unparalleled beauty, durability, style, versatility, and comfortability. But regardless of how easy can anyone pull off a pair of Wrangler Texas jeans, picking the bad pair would be next to disaster. Because of the myriad of options that you can find in the market today, it would be easier for you to make the wrong decision than to find the best fit. This is for this reason why we come up with this helpful blog post about finding the most flattering pair of jeans. T-shirts are considered as a wardrobe staple for men. When it comes to men's tees, the options are undoubtedly very wide. With the almost countless number of local and international brands to choose from, picking the one that will best work for you can be a bit challenging. 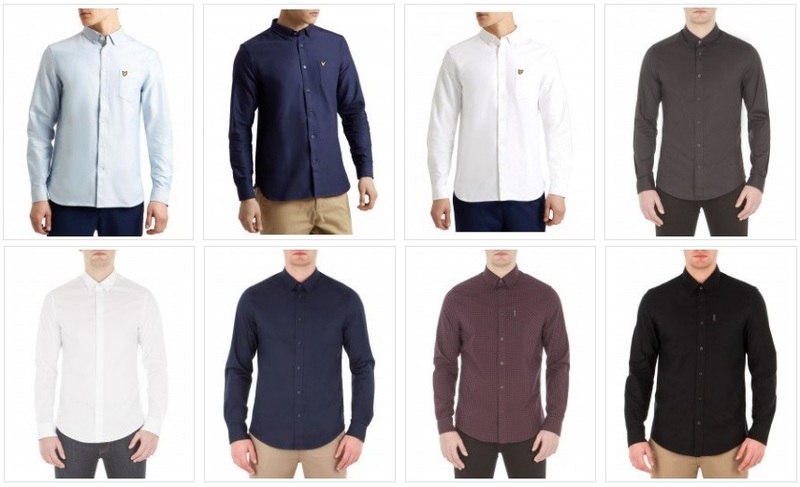 To help you pick the right shirts, here are a few brands that you might want to consider. Being a man does not always mean that you just take fashion and style for granted. Gone were the days when style and fashion are only associated with women. Today, men go out of their comfort zone and explore more options when it comes to wearing fashionable and stylish clothes. Wearing fashionable and stylish garments does not only make you look good, in style, more presentable, and trendy, it will likewise tremendously boost your self-confidence and enhance your overall personality. Shirts are staple item of men’s fashion. Picking up the correct casual shirt for men can be quite a task specially when the person is not fashion conscious. The large amount of colours, designs, and ways in which one can wear them, makes it an extremely versatile item of clothing and gives you a lot more variation to experiment with. Therefore here are some tips or let’s say the baby steps when you want to choose out a men’s casual shirt. Spring is fast approaching. It is almost time for your winter clothes to take their place in your wardrobe treasure box. The great thing about this season is that it provides you with the most comprehensive scope for experimenting with your clothing. It is the only season in the year where you are less restricted as far as men’s fashion is concerned.